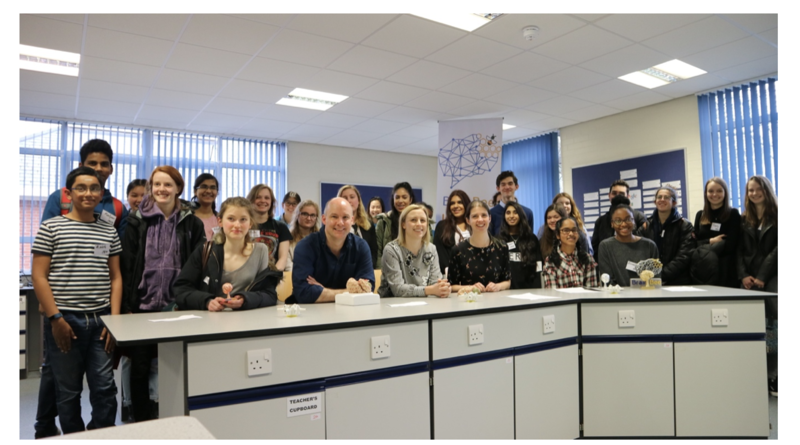 On the 10th of April, 23 school students from Scotland, Wales and England gathered to compete in the British Brain Bee 2018 neuroscience competition for a place to represent the UK in the International Brain Bee that will be held in Berlin, Germany on the 5th-9th of July 2018. 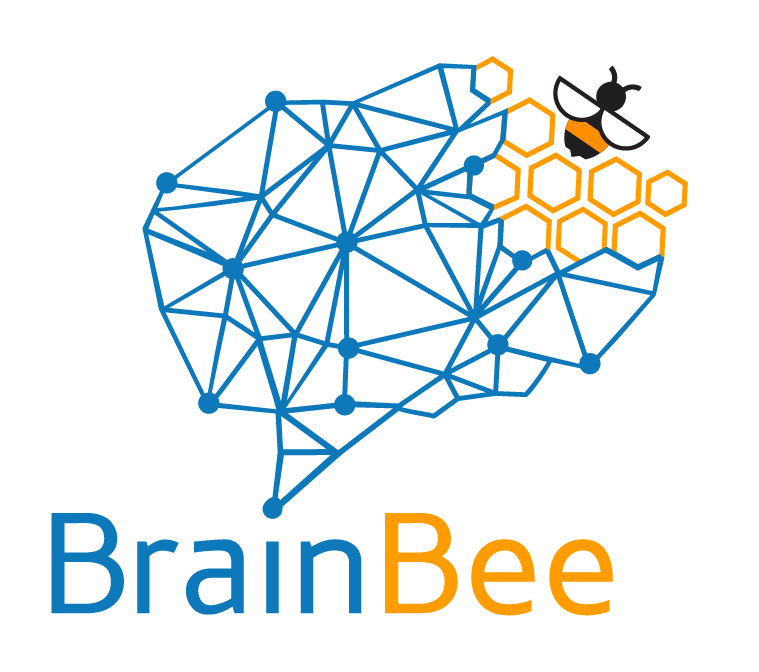 The Brain Bee is a neuroscience competition (originally founded by Dr. Norbert Myslinski of the University of Maryland Dental School Department of Neural and Pain Science) held worldwide for secondary school students, 13 to 19 years of age. Its purpose is to foster students’ interest in the human brain, psychology, mental and neurodegenerative diseases and inspire them explore potential careers in science and research. The first UK Brain Bee was held at the University College London in 2015, and in 2017 expanded for the first time to Wales and Scotland. The winners from the respective regional Brain Bee competitions were subsequently invited to take part in the National Brain Bee competition where the champion will proceed to represent the UK in the International Brain Bee. Participants sitting for the patient diagnosis examination. This year’s National Brain Bee was held at Nottingham Girls’ High School. The format of the day included a written MCQ paper, a neuroanatomy/histology quiz, patient diagnosis challenge and a live Q&A session for Top 5 students. The 2018 Brain Bee began with a written examination and an anatomy practicum, which tested students’ knowledge of anatomical and histological structures, and brain functions. Then students have a patient diagnosis part where they had to interpret diagnostic test results and conclude what disease a patient has. The event concluded with the final stage of the competition: three fast-paced rounds of jeopardy for the 5 students who scored highest on the tests. Topics covered a wide range of neuroscience topics including emotions, sleep, intelligence and a variety of neurological disorders. Three academics from the University of Nottingham: Dr.Wayne Carter, Associate Professor; Dr. Louise Hickey, Associate Professor and Amanda Lillywhite, PhD candidate, were invited to act as judges for the competition, with Dr. Wayne Carter also presenting a talk on alcoholism to the participants. One of the participant examining a slide with a microscope in the histology examination. 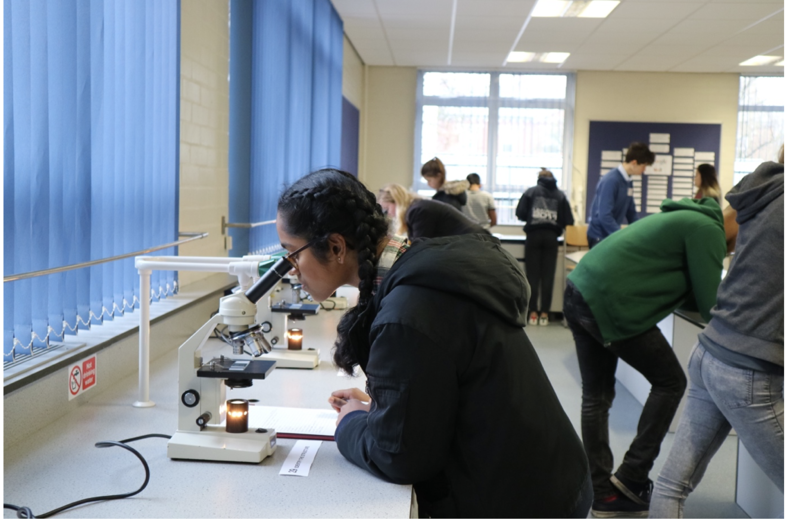 “I am very impressed with the level of response to the questions in the neuroanatomy, multiple choice questions and various other tasks that students had to engage with. The students responded incredibly well and in good spirits.” – commented Dr Wayne Carter. “Studying for this competition, I learnt a lot of new things about the brain that I didn’t even know existed. 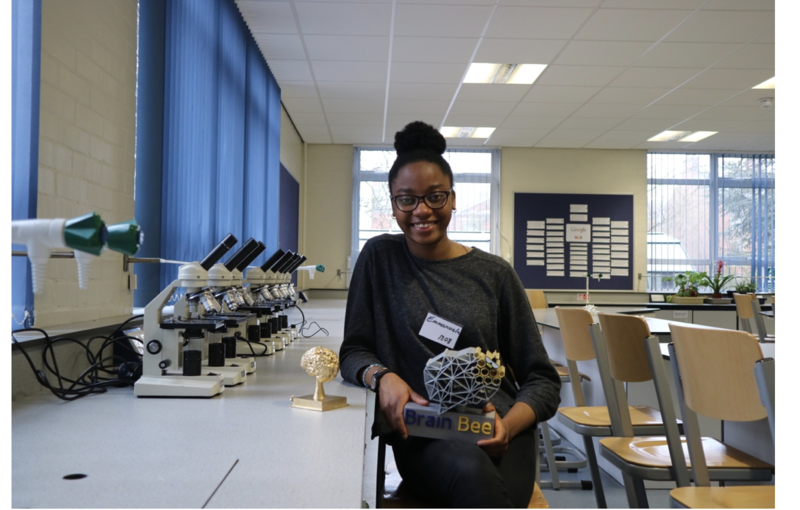 I studied really hard for this and I am very thankful that my studies really paid off because now I got first place and get to go to Berlin!” – Emmanuela Obaro, the 2018 British Brain Bee champion. The champion of the National Brain Bee will represent the UK at the International Brain Bee hosted by FENS Forum of Neuroscience this summer in Berlin, Germany where she will stand a chance to win a $3000 cash prize as well as a summer research internship coordinated by the Society for Neuroscience in the USA. The 1st and 2nd runner up of the British Brain Bee competition was awarded a summer internship that will be carried out with a chosen research group at the Sainsbury Wellcome Centre in London, UK. Sara Wong graduated with a Bsc. (Hons) in Biomedical Science from King’s College London in 2017 and is currently a PhD candidate at the University of Nottingham. Her research interests include preclinical pharmacological interventions for neurological and psychiatry diseases. Her current PhD aims to investigate the use of oxytocin for potential treatment of the negative and cognitive symptoms of schizophrenia. Outside the lab, Sara is passionate in volunteering at various outreach programmes as she wishes to foster an interest in the younger generation and increase their awareness towards the importance (and fun!) of science and research.